If you’ve ever tried to learn another language, you know how much time, energy, and brain power is required. Imagine a person who can pick up languages very easily. Someone who can navigate our world’s multilingual hullaballoo. Who can leap language barriers with a single bound. Who can learn without effort and remember indelibly. Such people aren’t parrots. They’re not computers. They’re language superlearners. Michael Erard searched for these people, and when he found them — in history books and living among us — he tried to make sense of their linguistic feats and their mental powers. 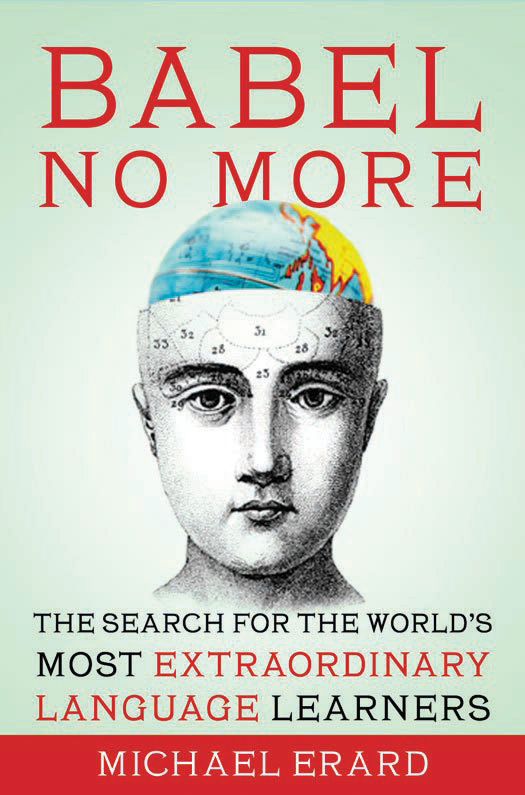 His book answers the age-old question, What are the upper limits of the human ability to learn, remember, and use languages? This entry was posted in Publications and tagged Babel No More, Bilingualism, informative survey, intellectual investigation, Language Acquisition, Michael Erard, Multilingual, Polyglot on September 30, 2012 by BK. Linguistic Approaches to Bilingualism is a new journal dedicated to original research assuming any cognitive science approach to understanding the mental representation of bilingual language competence and performance, including cognitive linguistics, emergentism/connectionism, generative theories, psycholinguistic and processing accounts, and covering typical and atypical populations. The journal is on it fourth issue, and volume 1:1 is available online as a free sample. General Research articles: 8,000-10,000 word articles that present original empirical research pertinent to the study of cognitive-linguistic bilingualism. Squibs and Research Reports: These small articles should not exceed 5,000 words and should present research on ongoing theoretical projects or subsets of data sets making significant contributions that are time sensitive. Accelerated review will be conducted. Epistemological Topics: these articles on topics of general epistemological interest in the sub-disciplines that contribute research to the journal will be between 8,000 and 12,000 words and will be by invitation only. Spotlight issue: Annually, one Spotlight issue will be published focusing on research of one particular language, language family or a cohort of articles addressing the same theoretical questions within the remit of the journal. Proposals for guest editing this issue should be sent to the editors and not exceed 3 pages. This entry was posted in Publications on October 14, 2011 by BRL.